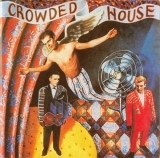 The first album from Crowded House went on to be awarded MTV's Best New Artist of 1987. 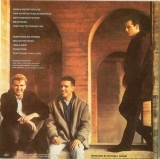 Only available as part of The Originals mini box set (1st three albums). 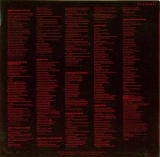 Inserts (as per original):Inner sleeve with lyrics printed on it (illegible). Lyrics:English on inner sleeve (too small to read). Only available as part of Crowded House The Originals. The box itself is pretty ordinary - red with images of the 3 covers on the front and track listings on the back.